Hard to believe it's almost been 7 years since Harry Kalas passed away, here's a link that I found on Philly.com tonight, thanks Harry! 2015 was a great year, I've re-launched the BaseballTalkRadio.com network of great baseball podcasts, and includes the 24/7 radio feed that you can listen to on the @TuneIn app on your smartphone or vehicle anywhere in the world. Phillies Talk Podcast celebrated another year in production, it's the longest running independent broadcast on the Phillies. 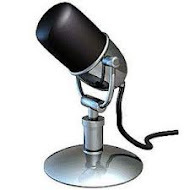 In 2015, (up to now) we've have over 17,000 downloads of the show. When you look at Rule 5 draft pick ups, you normally associate a good player that another team for some reason or another hasn't promoted or protected a player to remain on their ballclub. Just the nature of a Rule 5 pick is curious, if the player that you pick doesn't stay on your team's 25 man roster the entire season in the upcoming year, that player must be offered back to his original team by the drafting team. The player drafted in the Rule 5 must not be optioned or sent down to the minors. The team that is drafting the player may waive him at any time though, at which he may be signed by another team through the waiver process or if he is not claimed, be offered back to his original team. The drafting team may also trade the player to another team during the season keeping the original rules in effect. The most interesting thing about Tyler Goeddel, who was the first pick overall in the 2015 Rule 5 draft is his position. He is a 3rd baseman, but has also played in left field and right field. That presents an interesting situation, as Maikel Franco has been touted as the Phillies future 3rd baseman for some time to come. Goeddel banged out 72 RBI and 12 HR in AA ball last year for the Montgomery Biscuits in the Southern League. Franco has appeared in 96 games as a Phillies player, last year he hit 50 RBI and 14 HR in 80 games for the team, which was very much appreciated by the fans. There is going to be competition this year in Spring Training in Clearwater with the Phillies and Goeddel is adding to the mix. Number 1 picks in baseball are usually fairly indicative of a player that is bound for some greatness in the game further down the road in his career. Looking at the last Phillies 1st round pick at number 1 overall, you would have to go back to Pat Burrell to 1998 that the Phillies were able to draft at Number 1, as they will do in the June 2016 draft this upcoming year. Mark Appel is now on the Phillies team, his pick at #1 overall in 2013 was the result of some last place finishes in all of baseball by the Houston Astros, enabling them to pick back to back as the #1 pick in all of baseball. The previous year, the Astros picked Carlos Correa and he is now a household name in the game of baseball. Appel received a whopping $6.35M dollar signing bonus as the Astros number 1 pick back in '13, and he is currently ranked at #7 in the top signing bonuses in the history of baseball. Why then would the Astros be willing to part with him? Ken Giles, recently installed as a Phillies closer, was traded to the Houston Astros for a package of players that included Appel and others. Houston's surplus of quality talent was a boon to the Phillies, who desperately needed to become younger, and better. Appel is a graduate of Stanford University, his last two seasons in college yielded a 10-2 and a 10-4 record. That was in 2012 and 2013. Appel's rise through the Astros minor league system was somewhat normal for a #1 pick but the stop at AAA Fresno last year in the Pacific Coast League didn't yield great results but his overall record was 5-2 with a 4.48 ERA. Not exactly the kind of finish that would make a team want to trade you. Mark Appel's minor league totals in 3 seasons of minors is not stellar though, his record is 16-11 with a 5.12 ERA. Comparing Appel and Phillies starter Aaron Nola's minor league records, below in the chart, you can say that these two pitchers are faily evenly matched, throwing out the 9.82 ERA that Appel had in 2014 in 12 games in A+ ball. Graphic is courtesy of The Baseball Cube. Adding all of this up, if Appel can find his groove with the Phillies we just may have a terrific starting rotation in 2016. That's something we won't know for a couple more months to come, but it's a sign that things may start to turn around for this team that really hit a low last year that we haven't experienced for many years before. Lincoln Holdzkom was a pitcher who was drafted in the 2007 Rule 5 draft with the Phillies, he was killed in a car crash in California. He never made it to the big league club with the Phils. He was mentioned in an article the '08 prospects for the Phillies on a Minor League Ball blog. The 33-year old was still playing professional baseball with the New Zealand team, Lincoln was born in Pasedena, California but his father is a native of New Zealand. Holdzkom was set to be a team captain on the qualifying team in Sydney at a World Baseball Championship qualifier there in February. Holdzkom is the brother of pitcher John Holdzkom from the Pittsburgh Pirates. Originally drafted by the Marlins in the 7th round of the 2001 Amateur draft, Lincoln played for a few Major League teams making their 40-man rosters over his career (but never made it to debut in a MLB game) which ended in 2009 for the minor leagues and 2013 on an independent league. He was named a Top 30 prospect on five different occasions by Baseball America. Holdzkom's 2013 Hyundai Sonata was the only vehicle involved in the crash at 5:15 am Sunday which happened on the 57 Freeway in Diamond Bar, California. The original deal that was offered up in the press a couple days ago for the Ken Giles to Houston trade seemed promising enough. Now, with the official announcement of the trade today by the Phillies, we were pleasantly surprised that we got more that we even thought in this trade. Read more about the trade in the Houston Astros blog Crawfish Boxes. The Phillies also traded 16-year old shortstop Jonathan Arauz to the Astros, don't think I've heard of a team trading such a young player in a deal of this magnitude. Mark Appel is included in the deal for Giles, and Appel was a former 1st pick in all of baseball for the 2013 June Amateur draft. What's been happening with Appel since the draft? He hasn't exactly blossomed into the player that the Astros were hoping he would in regards to his ERA. Appel's numbers have been puzzling, he hasn't really been a lights out pitcher in in the minors. Last year though he compiled a 10-3 record two leagues in the Astros minors. If Appel is going to be a starter, I think we'll be seeing him really soon for the Phillies perhaps even out of Spring Training, if he does well enough. Suddenly, the Phillies have pitching and more pitching. They are stockpiling pitchers like there is no tomorrow. Again, we have to think that this will be a good thing. It also follows along with the theme of new Phillies GM, Matt Klentak, not relying on big name free agents to get the job done on the mound for the Phillies. News was announced of a signing of another pitcher, from the Pirates, Charlie Morton and his $8M salary for 2016, so maybe this is Klentak's veteran after all? Read more about Morton's addition here in the Pittsburgh Post-Gazette. One interesting thing about Charlie Morton is that he isn't all that good, and he hits a lot of batters as it's talked about in this post from 2014 in Fangraphs about Morton. Will this be successful? Time will tell if this philosophy is better than Amaro Jr.'s approach to signing pitchers. Looking at all of the pitching that Klentak has already assembled, it's going to be a real battle for the starting 5 on the roster. You have to figure that Aaron Nola will be the first starter, followed by Jeremy Hellickson and maybe a healthy Matt Harrison. That would leave two spots open for the starting 5. Add in all of the new names, and we could be in for an interesting Spring Training 2016. The other players in the deal from Houston are: Vincent Velasquez - Harold Arauz - Brett Oberholtzer - and Thomas Eshelman. The Phillies have made a lot of moves this offseason to restock the team with minor league talent, in fact, it seems like there is an overload of talent brought to the team that could be described as good prospects. How that will translate to the Major League club on the field remains to be seen, but one thing is for sure, the team should do better that last year's 99 losses on the season. In the pitching department, we've seen a departure from the way Ruben Amaro Jr. used to staff this club like. Amaro always seemed to be looking for a aging veteran that he always seemed to pay too much. Usually this ended up as a mistake, names like A.J. Burnett, Aaron Harang, Mike Adams, and others come to mind. The way new Phillies GM Matt Klentak seems to be going about it is a little different, he doesn't seem to be going for the aging veteran, instead picking up a stream of potentially good pitchers that may offer a better bang for the buck. Will it be successful? That remains to be seen but it is a different approach that we've seen in a few years. Spring Training 2016 should be interesting for a lot of players, there is only 25 spots available as the team goes North after the Grapefruit League, so I think we're going to see some good competition for a few positions on the ball club. Ken Giles was kind of a loose cannon on the Phillies, he came up from the minors and was a protege of veteran closer, Jonathan Papelbon. Papelbon got away with a lot of antics while on the Phillies, but Giles seemed to follow in his footsteps. For a guy like Giles to come up out of the minors and then show a lot of disrespect on the mound for a few coaching decisions as happened a few times last year, probably hastened his departure from the Phillies. He's the type of guy who wears his heart on his sleeve though, and Giles was only on the big league team for a year and a half, you just can't act like he did and get away with it with only a couple seasons in the big leagues. The earliest Ken Giles will be arbitration for a salary is 2018, so he's under club control for a good while. Now that club control will go to the Houston Astros, as Giles was traded for a bunch of players last night. Will Giles develop into a superstar? That remains to be seen, he had a very low ERA with the Phillies over two seasons, the Phillies used him in 69 games last year, and he posted a 1.80 ERA over those games. Great closers in the game are very rare, so it will be interesting to see what develops with Giles down in Houston. Who did the Phillies end up with for Giles? Houston was very happy to obtain Giles, who really showed a lot of poise on the mound while with the Phillies. These are the Rule 5 draftees for 2011, do you see any big name players here? No, I don't think many of these players are even on Major League 25 man rosters as of 2015. You can do this for the past few seasons with the Rule 5 Draft, the players may have promise that are drafted but there are reasons why they weren't protected and a club was somewhat willing to part with them via the Rule 5. You can look at the Rule 5 drafts from 2012, and 2010 and find the same results, hardly anyone on the list that was drafted in the Top 12 went on to be a star or semi-star. Yes, the Phillies picked up Odubel Herrera from the draft, and he's shown some promise, but he's not a full fledged star. There have been some big names to come out of this draft over the years, Roberto Clemente being the most well known player many years ago. There is much being said about this draft which happens tomorrow for 2015, but in the end, Phillies fans shouldn't be looking at it like they would the draft that we'll be getting the first pick in June of 2016. The Phillies have been silent at the Winter Meetings in Nashville, we've heard all about the big name free agents getting picked up by various teams, but so far it's been hardly anything announced from the team. It's almost like owner John Middleton, who seems to be calling the shots these days, has taken away the checkbook, the one that Ruben Amaro Jr. used to have free rein to use just 5 years ago. There was an announcement that the Phillies were 'awash with cash' after the big TV signing that took place that was announced in 2014. The Phillies supposedly agreed to a TV contract for 25 years with Comcast Sportsnet for a value of over $2.5B dollars, at the time, team partnership owner David Montgomery said that the Phillies should remain in the top 5 in payroll teams for the near future as they have been for the last few years. This year though is certainly a departure from that, the Phils have taken that payroll figure and reduced it sharply in 2016, and points to them possibly staying that way into the offseason next year, where even more salary is due to come off the books if the Phillies continue to sign players that are making 1-2 million dollar contracts. Simply put, the Phillies have taken this team and though they have plenty of money to spend, made it seem like the opposite is true. Everything else being equal though, the ticket prices, and various other things will rise as they seem to do every year in baseball. The wizardry of online pricing has seen to take hold in baseball with something called 'dynamic pricing', the team can charge more per seat for certain teams that the Phillies play at home. A seat may be $10 or more expensive just because of the opponent. The Phils will be fielding a team that more or less is very similar to last year's team. Pitching may be an improvement as there has been an attempt to improve it in the offseason but no great changes may mean that we're seeing a next to last place team in '16 as well. 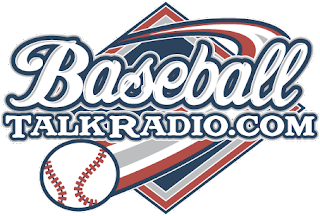 The Phillies are well into their offseason, and it's Winter Meetings 2015 time, so we crank up the new edition of Phillies Talk Podcast to talk all about it! Tune into one of the longest running independent shows on the Phillies on the internet, we've been hanging around since late 2006 talking about the team and still haven't got it completely right! The calendar is flying, it's December 1st and that's only 89 days until the first Spring Training game in Florida between the Phillies and the University of Tampa. This will be a real battle for positions for a bunch of positions. The Phillies made some interesting pickups for possible starting pitching to augment the guys that came up from the minors. Of course the Phils will have number non-roster invitees to Spring Training, with hopes that one or more may stick with the team. And, the Phillies really seem to be challenging the notion that Caesar Hernandez will be our Opening Day second baseman, they have signed 2nd baseman free agent, Ryan Jackson, to a minor league contract, and invited him to Spring Training, signed 2nd baseman free agent, Emmanuel Burriss, and invited him to Spring Training, and signed 2nd baseman, Angelys Nina, to a minor league contract. Little wonder that the Phillies had the second worst ERA in 2015 in the NL (4.69) in 2015, Rockies were at the bottom with 5.04 ERA. We also said goodbye to Cliff Lee, Justin DeFratus, Dom Brown (can't believe the Phillies couldn't have traded for someone for him), Jeff Francoeur, Tommy Joseph, Brian Bogusevic, and Kelly Dugan. Rumors have surfaced that the Phils may be interested in Francoeur for '16, but so far nothing happening on that rumor. Brown's story is the most puzzling, we've seen him for years, he was the top rated prospect in all of baseball in 2010, and had a break out season in 2013 with 27 HR but then dropped off of the radar with less than mediocre results the past two years.